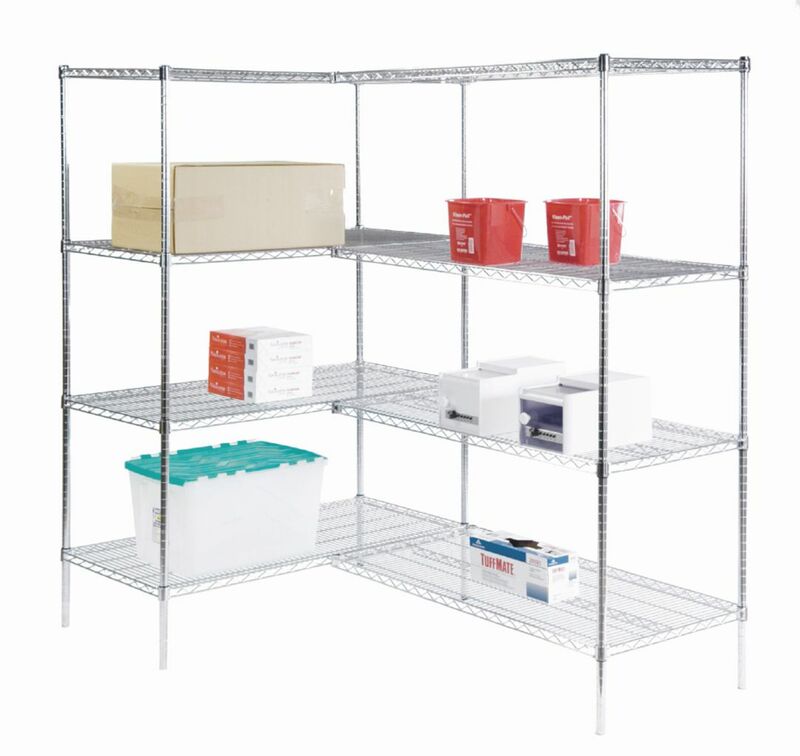 Starter units include four round corner posts and four shelves, and add-on units include two posts, four shelves and clips. Chrome finish provides improved corrosion resistance. 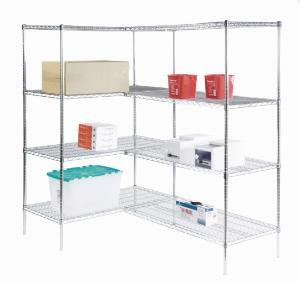 Each shelf features truss-reinforced edges for exceptional durability and can support up to 800 lbs. when weight is evenly distributed. Posts feature groove rings in 1 increments for shelf height adjustability. Ordering information: Shipped unassembled for compact storage.